The Environmental Protection Agency (EPA) recently announced it will unveil carbon emissions standards for all newly built power plants in the United States. The New York Times reported the new standards will allow natural gas power plants to emit up to 1,000 pounds of carbon dioxide per megawatt hour, and new coal powered plants may admit up to 1,400 pounds of carbon dioxide per megawatt hour. As the article notes, natural gas power generators will easily meet the new standard. However, many coal producers fear the 1,400 pound standard will all but kill the construction of future coal power plants, as the technology necessary to “scrub” the emissions to this lower level require new technologies and equipment which renders coal powered plants economically unviable. While this EPA standard continues the fight between the Obama administration and environmentalists on one side, and conservatives (generally, although in many coal producing states the democratic representatives also disfavor the new EPA regulations for local economic reasons) and the power industry on the other, what is lost in this fight is any real attempt to find common ground on other power sources that work, without massive cost to the environment or the economy: nuclear power. Quite simply, the Obama administration and the conservatives could both score economic and political points if they adopt an albeit radical idea domestically: trading nuclear bombs for nuclear energy. Typically, the idea of trading nuclear bombs for nuclear energy only comes up in the context of Iran, or possibly North Korea; however, the United States needs to seriously consider taking some of the medicine it prescribes to others for many reasons: to bolster our legitimacy abroad (in terms of addressing climate change, nuclear proliferation, energy security, and other foreign policy considerations aplenty), to reduce our reliance on hydro-carbons, and to reduce the supply of nuclear weapons (do we really, honestly, need more than 1,000 nuclear weapons? Really?). Every president for the last twenty years has talked ad nauseum about creating a diversified energy portfolio in an effort to reduce reliance on imported oil; yet, not one administration in that time took an active role in promoting nuclear energy. It is high time we actually use the carbon-neutral power generation capabilities we currently possess. A proposal: the conservative faction of the government agrees to reduce our nuclear armament in exchange for the liberal faction allowing the construction of new nuclear power facilities without undue regulatory delays and burdens. While in theory this idea could work, it could only do so if the economics behind it are feasible. First and foremost, the economics behind constructing new nuclear power plants currently face the same harsh realities that new coal fired plants face: the money does not add up because of the cost of dealing with the regulatory hurdles on nuclear energy imposed by the EPA and a host of other regulatory agencies. However, the economics could shift in a positive direction if the federal government streamlined the permitting processes (which can take years), effectuate a clear and efficient system for discarding spent nuclear material, and establish common sense zoning for where nuclear plants may be built (we should not chance a repeat of the unfortunate Japanese nuclear power accident by building plants on or near fault lines, or in hurricane-prone areas). Additionally, people fear that constructing new nuclear facilities will inevitably lead to catastrophic nuclear accident. 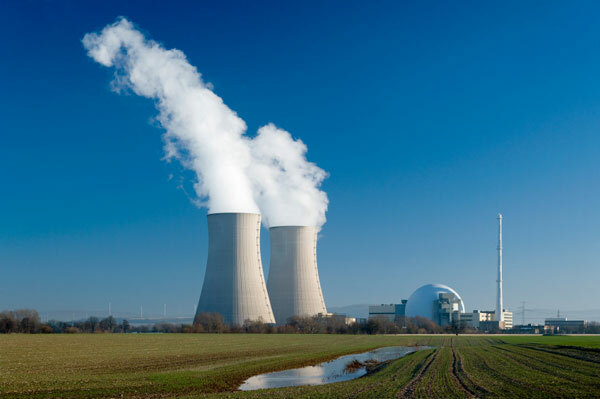 However, if we took some common sense measures, such as using the proposed zoning discussed above to construct new nuclear facilities away from populated areas, in regions without seismic or hurricane issues, we can significantly reduce the fallout from a nuclear reactor disruption, if and when one were to occur (which the nuclear power industry would have every incentive to avoid at all costs, lest they continue to be persona non grata in our energy conversation). By using the same transmission line technology currently employed by wind farms across the country, we can “transport” this nuclear energy from sparsely populated areas to our ever burgeoning urban cores. 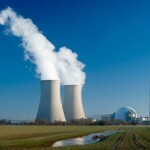 The construction of new nuclear power plants will obviously cause great consternation to many different groups, but using nuclear powered and gas powered plants to feed our insatiable energy appetite makes the most sense in attempting to create the bridge between our current oil and coal infused energy consumption, towards a carbon-neutral or carbon- (almost) free energy future. Additionally, using carbon-based fuels already causes great consternation to many groups, so we need to ask ourselves, if we aren’t going to use carbons, and wind and solar power aren’t currently up to our power generating standards, what else can we do? We cannot currently have it both ways: using less hydro-carbon power, and creating the same power output, especially as our population continues to grow. We need that bridge, which nuclear energy and low emitting natural gas energy provide us.